Sprint's Tracy Nolan knows first-hand the value a workplace sponsor can bring to boosting women's careers by pushing them outside their comfort zones. Studies show that women in the workforce struggle more than men do with having the confidence to take on new tasks. "Some 63% of women enter the workforce with the confidence that they can rise to senior management, compared with 75% of men, according to a 2016 survey of 8,400 adults by Bain & Co. and LinkedIn," explains Sue Shellenbarger in a recent Wall Street Journal article. Tracy Nolan, president of national sales, strategy and operations for Sprint Corp. (NYSE: S), credits her sponsor with supporting her in taking on new projects and positions early on in her career, which elevated her confidence and helped shape her leadership skills. Nolan has decades of experience in leading retail and sales teams in telecom as well as other industries, and was previously a president of Verizon Wireless for the Illinois and Wisconsin markets. In 2015, she worked closely with former CEO Marcelo Claure to deploy the ONE Sprint field sales model nationwide. Nolan has been featured in the "Women to Watch" list in the cable industry, and has received the Influential Women in Business and Forty under Forty awards. Later this month, Nolan is speaking on the Women in Comms panel on "Automation's Double-Edged Sword" at Light Reading's NFV & Carrier SDN event in Denver on September 24-26. You can register for the event here, and the Women in Comms workshop is free for open to all women and men in the telecommunications, STEM and IT fields. In addition, the workshop will also provide an informal setting to meet and network over breakfast and a forum to exchange ideas, learn and grow. Joining Nolan on the panel are Honore Labourdette, Vice President, Global Market Development, Telco Business Group, VMware Inc. (NYSE: VMW); Amy LaFebre, Director of Technology, Commercial Data Systems, Verizon Communications Inc. (NYSE: VZ); and Shannon Williams, Director Sales, Major Accounts, Infinera Corp. (Nasdaq: INFN). In this Mentor Monday, Nolan explains the difference between mentorship and sponsorship and the benefits of both. She shares how her career was shaped by an influential sponsor, and provides insight on how women in comms and tech can identify and foster relationships with mentors and sponsors. Read on for more. Tracy Nolan, President, National Sales, Strategy & Operations for Sprint, will be speaking at the NFV & Carrier SDN Event on September 26. Women in Comms: Tell us a little about yourself and your role at Sprint. 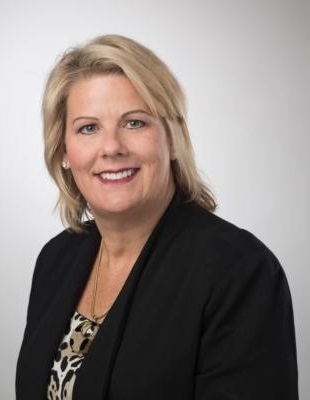 Tracy Nolan: As the president of national sales, strategy and operations at Sprint, I have an exciting role here where I oversee, develop and execute sales and operating strategies and drive growth across all channels, including stores, dealers, national retail, D2C (direct-to-consumer) and strategic sales programs. With this role I oversee many vice presidents as direct reports and thousands of sales employees in the field. The most rewarding parts of this role are the mentoring and sponsorship roles I've played throughout the years. I truly want a company to be in better hands when I leave versus when I joined, because then I know I did my part as a leader to promote the best of the best. Women in Comms: We often talk about the importance of mentorship, but we're hearing more and more about the benefits of identifying a sponsor. How would you define sponsorship and how does it differ from mentorship? TN: Sponsorship is something that more and more people need to start focusing on and talking about because it doesn't get enough attention when people are looking to skyrocket their careers. A sponsor is a person that finds you, and positions you for more because they see beyond your current role and want to see you excel. Sponsors have a belief and vision for what you could accomplish in the future, even though you may not see it for yourself. For instance, a sponsor may promote you to a higher position even if you don't have all of the necessary qualifications because they believe you are capable of more. Another way to move forward in your career is to find a mentor. Mentorship is an extremely important tool for everyone, not just women. The main difference between mentorship and sponsorship is the fact that in mentorship, you are the one finding someone that is typically in a higher position than you, which you respect and can learn from to help you with your career and/or life. Join Women in Comms for a breakfast workshop and networking at the NFV & Carrier SDN event in Denver on September 26. The workshop is open to all women and men in the telecommunications, STEM and IT fields -- communications service providers get in free! WiC: What advice do you have for women in the tech and comms industries about how to identify a sponsor and build/foster that relationship? TN: First, show up to work strong, every day. When you're showing up for a meeting, be knowledgeable, execute, take pride in your work and work hard. Sponsors will find you if they believe you have great talent. Secondly, don't wait for an opportunity. If there's something specific you want to do, reach out and have conversations with your leaders. One of the worst things you can do for your career is to "be casual" during meetings and opportunities.